Stephen Hendry reached his first PTC semi-finals while Joe Perry ended Ricky Walden's hope to return to Top 16 in the quarter-finals. 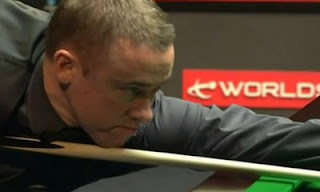 PTC12 is the best run of Stephen Hendry in the PTC series so far. Hendry beaten Michael Holt, who had 15 victories out of the last 16 PTC matches he played in the decider 4-3. Hendry had an 2-0 advantage over The Hitman but later found himself 2-3 down. Nevertheless, the seven-times World Champion managed to beat his opponent in the decider with breaks of 56 and 81 in the last two frames. Hendry will book his seat in the PTC Grand Finals at Ireland if he beats the fellow Scotsman, Stephen Maguire in the semi-finals on the Sunday. Maguire came through from beating David Gray 4-1 with 114 and whitewashing Andrew Higginson in the quarter-finals to set up a clash against Hendry. Martin Gould won two deciders today to become one of the final four players competing on Sunday. 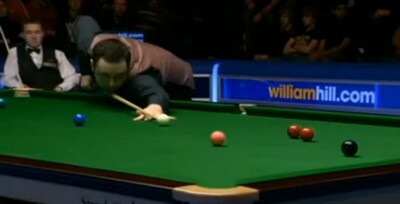 Gould beaten David Grace and subsequently Mark Allen, who made his effort to force a decider but lost. Gould now faces Joe Perry, the man who ended Walden's hope to get back to Top 16 by winning 4-1 in the quarter-finals.